At Caludon Castle School we believe that students should be given a wide range of opportunities to develop and practise leadership skills in preparation for life beyond school. There are so many leadership opportunities available to students, below is just a flavour of what is currently on offer. 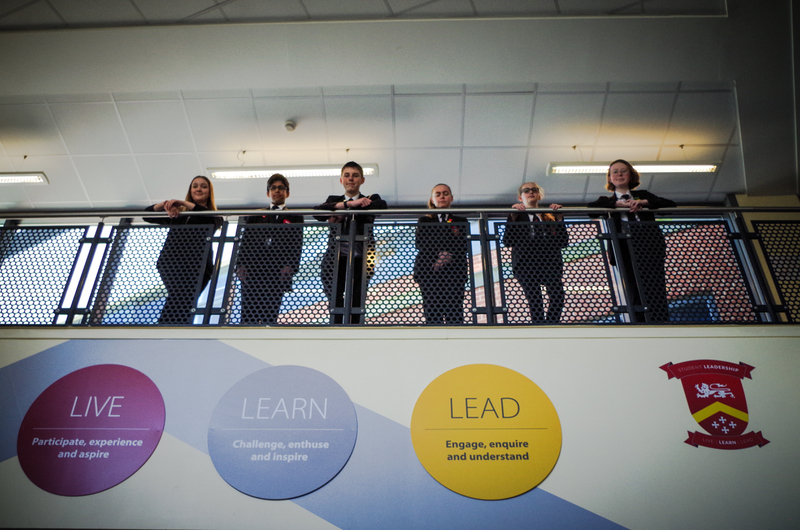 Many of our Student Leadership activities focus on improving the quality of learning and teaching in the classroom, supporting the school’s aim to be a place where everyone enjoys learning and is creative – trying new things, finding solutions and embracing their responsibilities. To provide opportunities for students to develop leadership skills through a variety of inspiring, challenging and valued projects which impact positively on learning, teaching and well-being for both students and staff at Caludon Castle School. Student Council: every student at Caludon is entitled to have their voice heard. The whole student body will be responsible for electing representatives, through a democratic process. The Student Council provides a forum where representatives from all year groups raise, discuss and propose resolutions about issues which are important to the students they represent. The process of electing representatives, drawing up agendas and convening meetings will model good democratic practice. School Council meetings will provide opportunities for students to take on leadership roles. Student Council representatives are responsible for gathering information from the students they represent and for feeding back after meetings. The Student Council has the right to invite advisors (staff or student groups) to meetings. They also play a large part in the charity work the students do. Whole School Student Ambassadors: after careful selection and training, students in years 7-10 represent the school to visitors. This includes meeting and greeting, organising tours and providing thoughtful information about the school. . Faculty ambassadors: identified students train as mentors to support other students in subject areas. They are responsible for representing their faculties at important school events like open evenings, assemblies and options nights. Head Teacher’s Ambassadors: appointed after a rigorous interview process with the Head teacher. These students meet and greet important visitors, speak at open evenings, feedback at SLT meetings etc. Student Interviewers: students are trained to form an interview panel for externally advertised posts. Their feedback to the staff interview panel provides part of the selection process, alongside the range of recruitment procedures. Lead Learning Ambassadors: interviewed and appointed by the Head Teacher and carefully trained to provide CPD at training events as to the student perspective on successful learning and teaching practices. Peer mentors: students from years 7-9 are able to apply for this role which focuses on conflict resolution and mediation between students. Outside specialist agencies provide the training which culminates in a two day residential.